The Wright Family has been farming in the Delaware Valley since the 1800s. We originally began raising honey bees to help in the pollination of our fruit trees. Other farmers, seeing our success with using honey bees for pollination, asked us to help them. Soon we were setting up bee hives on their farms to aid in pollination of their various crops. 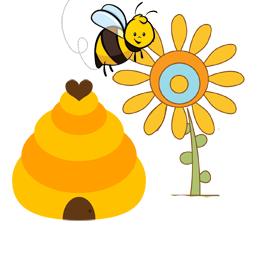 Quickly, the pollination business became bigger than our fruit business. From pollination to extracting honey from bee hives is a very short step. We took that step and were rewarded with a delicious, flavorful honey. We sold this honey from a small covered table by the side of the road. Today, from our two locations in New Jersey and Florida, millions of honey bees in thousands of hives are transported to pollinate crops and produce honey across the country. Great care in processing honey is Fruitwood Orchards' way of assuring you the best tasting products possible.